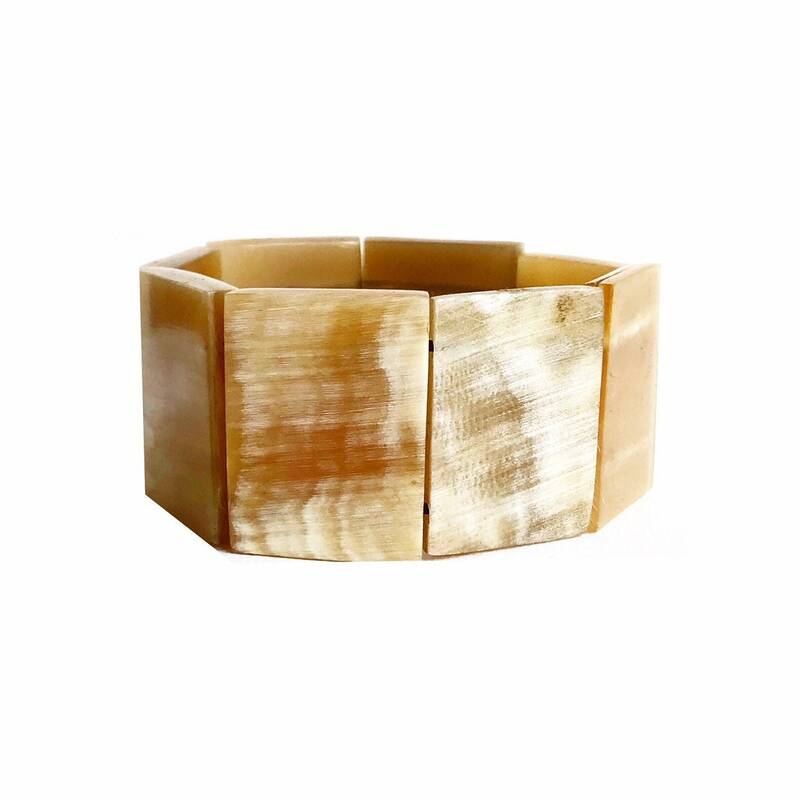 Very chic, this elastic bracelet with black Horn will be easy to match and sure to produce lightning effect. Product made by hand natural Bull Horn. 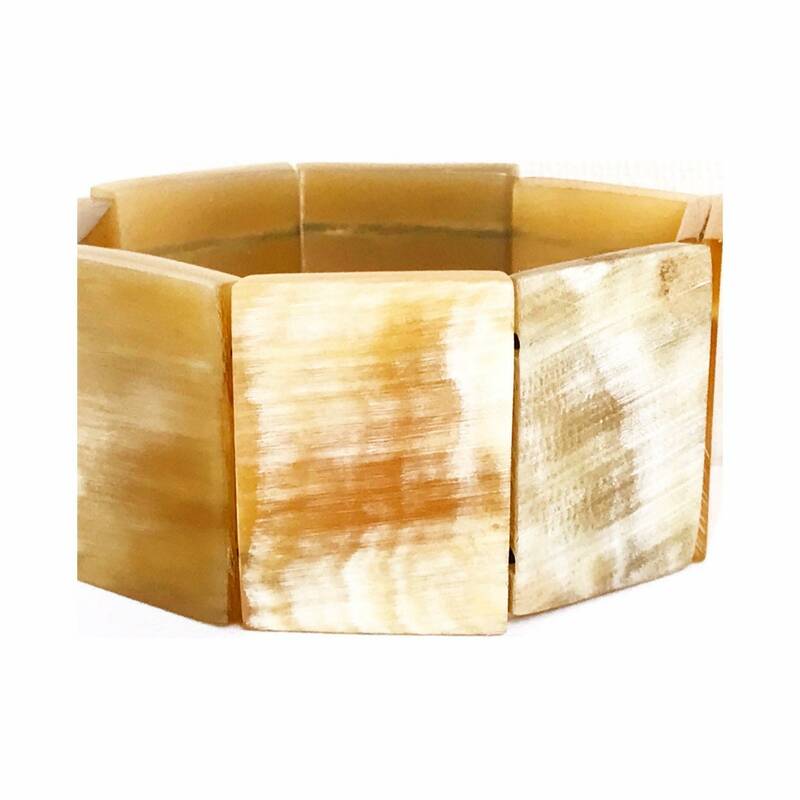 The Horn is a natural and sustainable material. It is unique with its rich and varied colors. The use of the Horn is legal.